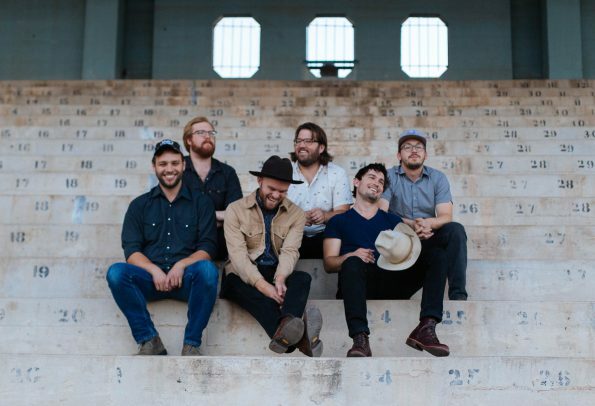 Jared & The Mill are a band of brothers who spent their formative years as teens in high school and young men in college in and around Arizona before being catapulted on a crazy road trip whirlwind known as tour life on the road. In the vein of folk-inspired bands before them like Mumford & Sons and Lord Huron, Jared & The Mill’s new EP titled Orme Dugas chronicles stories from singer Jared Kolesar’s heart. The lead track “Lost, Scared & Tired” describes that road weary and bleary-eyed feeling of homesickness, yearning for familiar faces and places when you’re out on your own, maybe for the first time in your life. Kolesar also confronts the passing of time on “Ghosts” with pleas of days gone by, “bring back the rhythm of ghosts, that dance six feet from under my toes,” as he stares down the barrel of the inevitable that lies ahead. Jared & The Mill are currently touring the west coast with stops in Portland on October 26th, San Francisco on October 29th, and Sacramento on October 30th. Catch these boys on the road if you can touring in support of Orme Dugas. Enter to win a pair of tickets to see them at Neck of the Woods in San Francisco on Saturday, October 29th. Send an email to contests@theowlmag.com. Be sure to include your full name in the body of the email and “Jared and the Mill @Neck of the Woods” in the subject line. Emails must be received by 10AM PDT on October 28, 2016 to be considered. Not feeling lucky? You can purchase tickets on the Neck of the Woods’ site.